Mike Valdez fits the profile of a savvy first-time home buyer perfectly. A 34-year-old financial analyst from New Rochelle, N.Y., he and his family had grown sick of living the renter’s life. So two years ago he decided to test the market and find a townhouse for his growing family. But despite his financial aptitude, he quickly ran into a setback. Mike’s lesson goes to the heart of what every first-time home buyer needs to know — buying a home means so much more than paying a mortgage. A generation ago, it used to be the norm to put 20 percent down, but with the market in its current state of flux, many first-time home buyers are finding ways to pay just 3 to 5 percent of the total cost upfront. Federal Housing Act (FHA) loans increasingly have become a popular option for first-time buyers, says Greg Herb, regional vice president of the National Association of Realtors. These competitively low-interest loans are ideal for buyers with less than perfect credit, and because the Department of Housing and Urban Development (HUD) minimizes the risk of default for lenders on these loans, borrowers are only required to put down 3.5 percent of the cost–a far cry from the traditional 20 percent down payment. Your debt-to-income ratio (DTI) is the percentage of your gross monthly income set aside for paying debts. 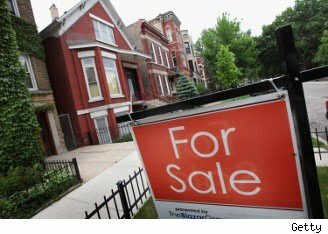 While some loans may qualify you for up to 50 percent of your monthly gross income, it’s advisable that you use no more than 30 percent, says Joe Adamaitis, a mortgage banker in Atlanta, Ga. Be realistic about how much you can pay, because an unexpected event could tear a hole in a tight budget. Beginning to end, you can expect the entire process to last around four to five months, says Herb. Of course, with as much great inventory on the market as there is, it’s not unusual for home buyers to find something within two to four weeks. On a brighter note, Mike jumped back into the house hunt a little wiser this year and closed on a three-bedroom townhouse for him and his family in about four month’s time. The real journey starts at the end of the month, though — when his first bill arrives in the mail as a home owner.